A majority of those outside the fields of music and the arts do not under- stand the whys or the hows concerning the process of arts education. Pro- vided with a clear understanding of those whys and hows, and supported by quality arts education in practice, people begin to realize the value of music and arts education. 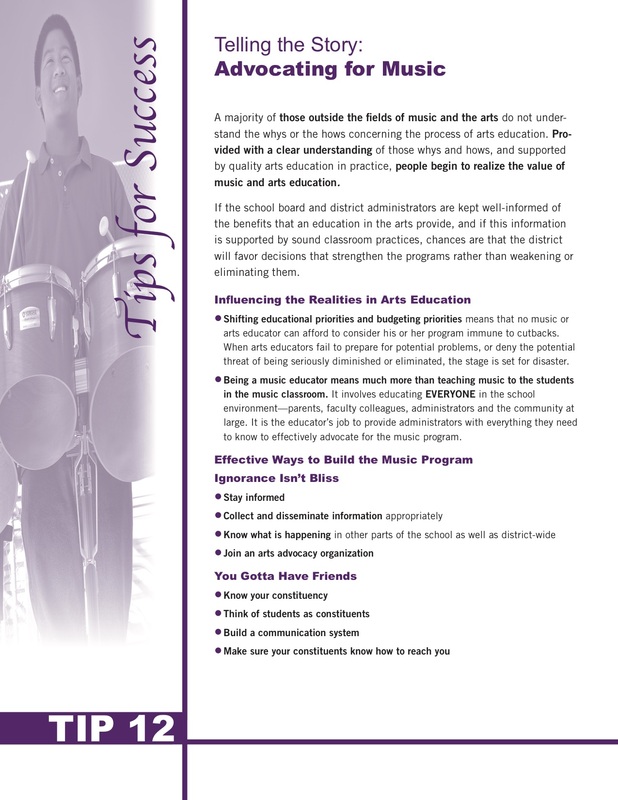 Learn more about advocating for music education in your community.